We may soon see what a society looks like when a simple thing like water runs out. Sao Paulo Brazil is on the road to that end. Many other parts of the world may encounter a similar scenario during the coming Tribulation. Record rains fell in California this week. They’re not enough to change the course of what scientists are now calling the region’s worst drought in at least 1,200 years. Just how bad has California’s drought been? Modern measurements already showed it’s been drier than the 1930s dustbowl, worse than the historic droughts of the 1970s and 1980s. That's not all. New research going back further than the Viking conquests in Europe still can't find a drought as bad as this one. To go back that far, scientists consulted one of the longest records available: tree rings. Tighter rings mean drier years, and by working with California’s exceptionally old trees, researchers from University of Minnesota and Woods Hole Oceanographic Institute were able to reconstruct a chronology of drought in southern and central California. 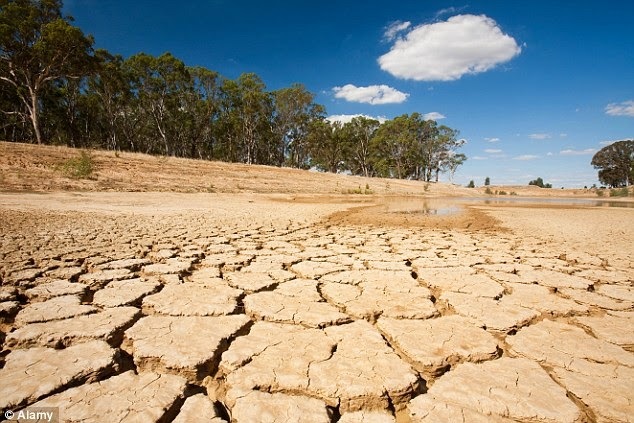 They identified 37 droughts that lasted three years or more, going back to the year 800. None were as extreme as the conditions we’re seeing now.